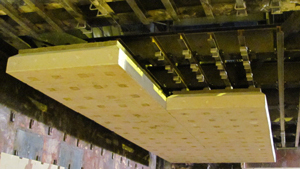 The Permatech Engineering Service Team is an industry leader in engineering the utilization of large refractory shapes for aluminum melting and holding furnace systems. Permatech has the necessary design, engineering and manufacturing expertise to build Furnace block that will conform to any specific process desired. Any size, shape or configuration is possible and we have completed over 100 in service. 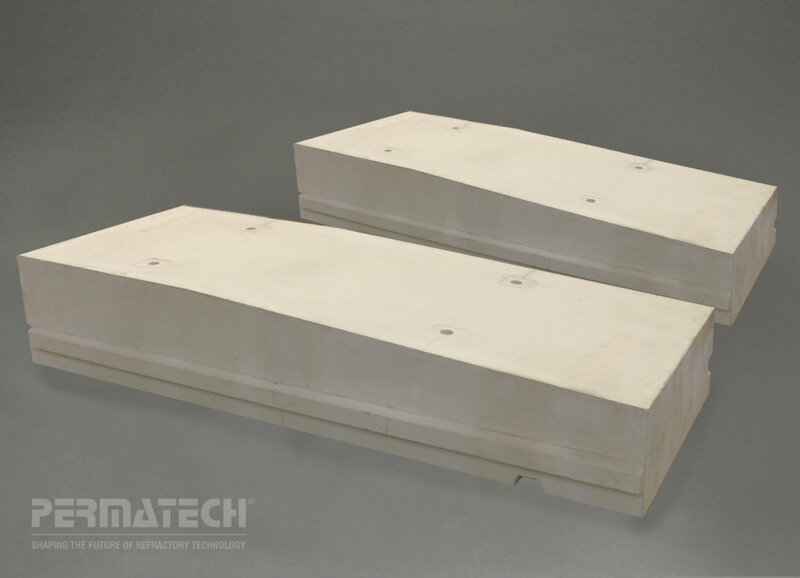 Permatech has innovated the "Big Block" furnace concept, and is recognized today as the industry leader in the manufacture of large precast, pre fired furnace block. 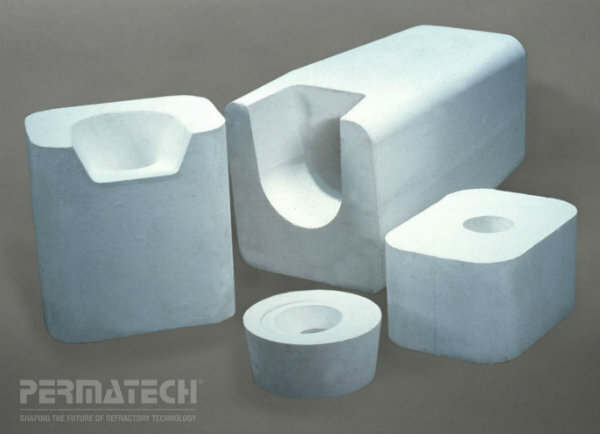 The Permatech Engineering Services Team is an industry leader in engineering the utilization of BIG BLOCK refractory shapes for aluminum melting and holding furnaces. 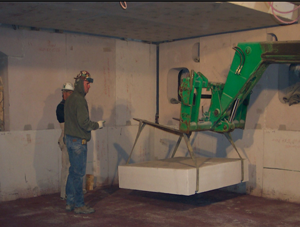 Permatech has innovated the Roof Block furnace concept, and is still recognized today as the industry leader in the manufacture of large precast, pre fired roof block. 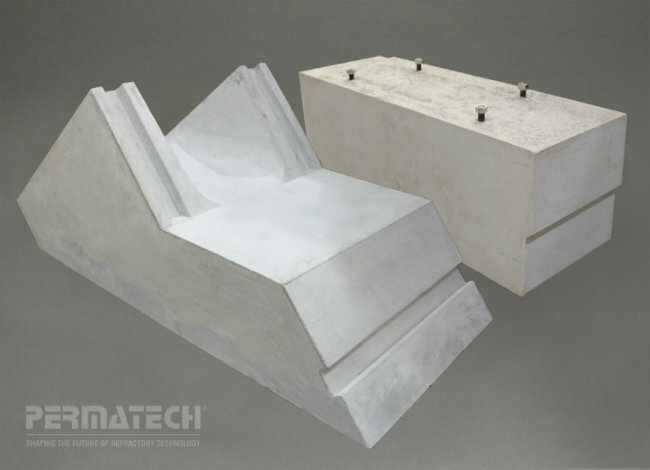 The Permatech Engineering Services Team is an industry leader in engineering the utilization of Roof Block refractory shapes for aluminum melting and holding furnaces. Permatech understands that every furnace requirement is unique. Lentils and Jambs are designed to each customer's specifications taking into consideration installation requirements and operational expectation. These shapes are manufactured to be incredibly resistant, to live up to the operational wear and tear along with the difficult conditions they are exposed to. Custom Engineered Tap Blocks from a variety of material compositions that rival the life performance of other available materials. Multi-piece Tap Blocks for fast replacement turnaround Fast delivery for custom prototype shapes Ceramic tap control plugs and cones.